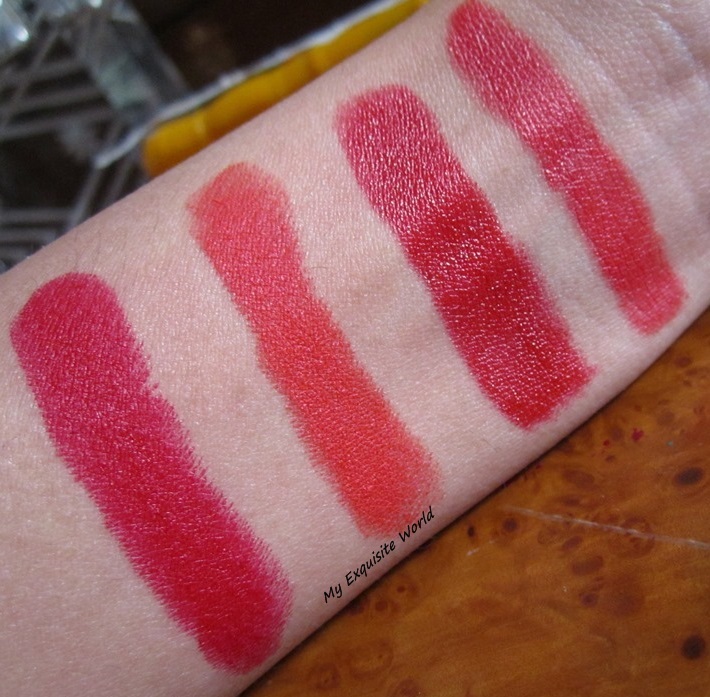 A red is all that a girl needs to brighten up the look and make statement lips.Here,I have 4 bold reds that need minimal makeup and can be carried by any skin tone. L’oreal Collection Star lipstick-Pure Rouge(rs.995):Pure Rouge is great for all skin tones specially warmer skin tone.It is simply Pure red..not brown,no orange.The shade is a statement lipcolor and needs no makeup with it. 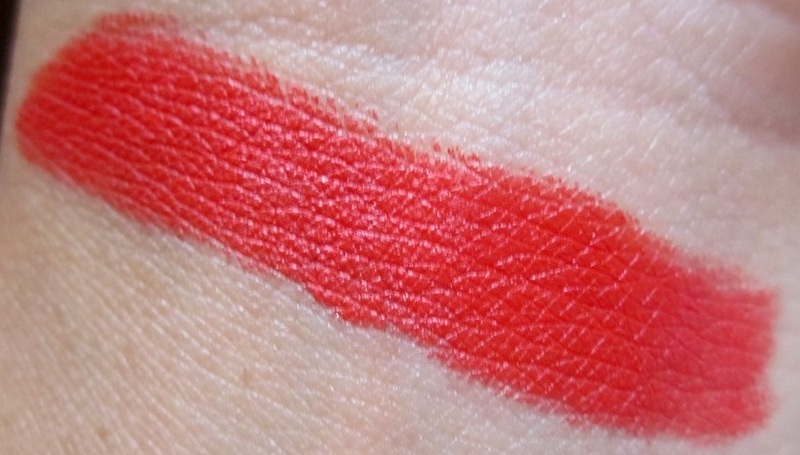 I love how it is so pigmented and stays for a long period of time.The shade suits me a lot and the formula is amazing. 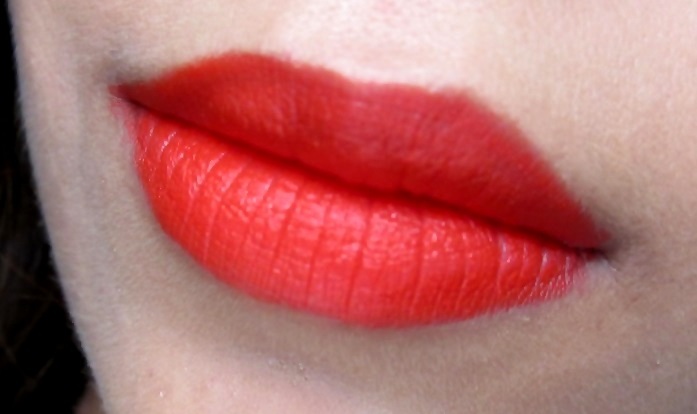 MAC Retro Matte Dangerous Lipstick(rs.990-old price):MAC Dangerous is described as an Orangey Red matte and I completely second with this description. I love the shade as it brightens up my face. 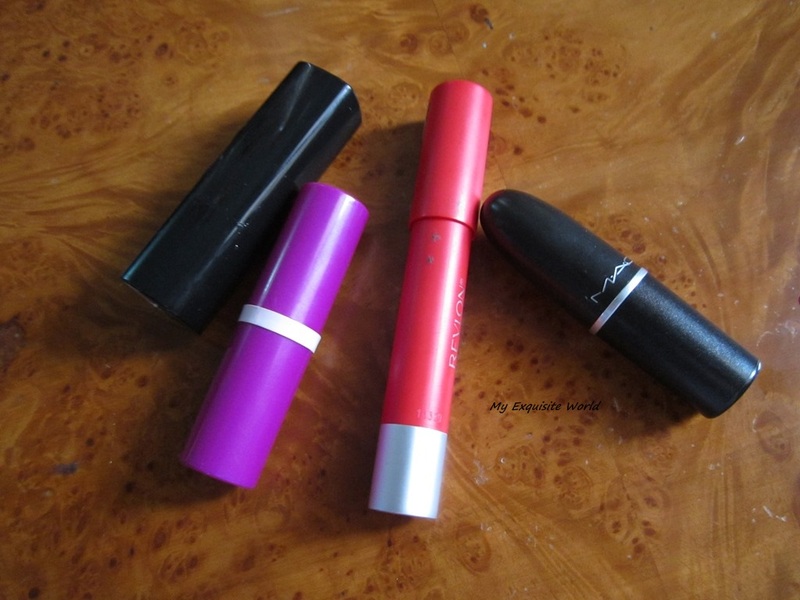 It glides on easily.The finish is completely matte and can be too drying for very dry lips. It is non-sticky and light weight. 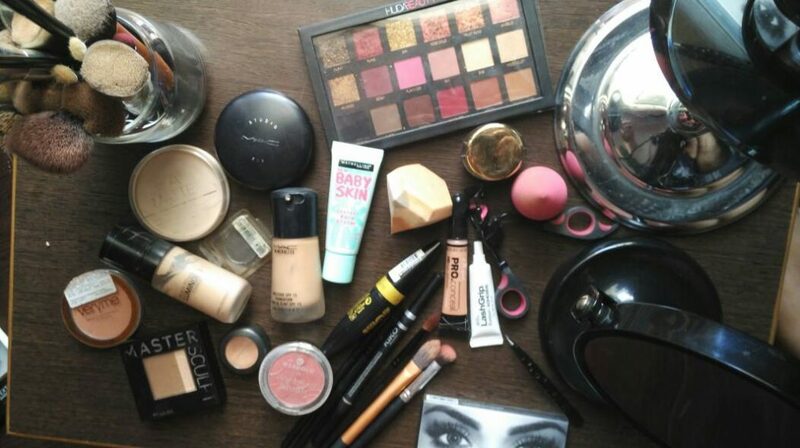 The formula is not moisturising but it doesn’t transfer to other objects like coffee mugs, tea cups and all. It stays and stays.The hsade provides opaque coverage and stays for good 7-8 hours. Revlon Colorburst Matte lip balm Striking(rs.800):Striking is a stunning shade of red with warm undertones.It is very wearable and not OTT. The shade is decently pigmetned.It provides medium to full coverage and stays for about 5 hours.I love the subtleness of the shade. 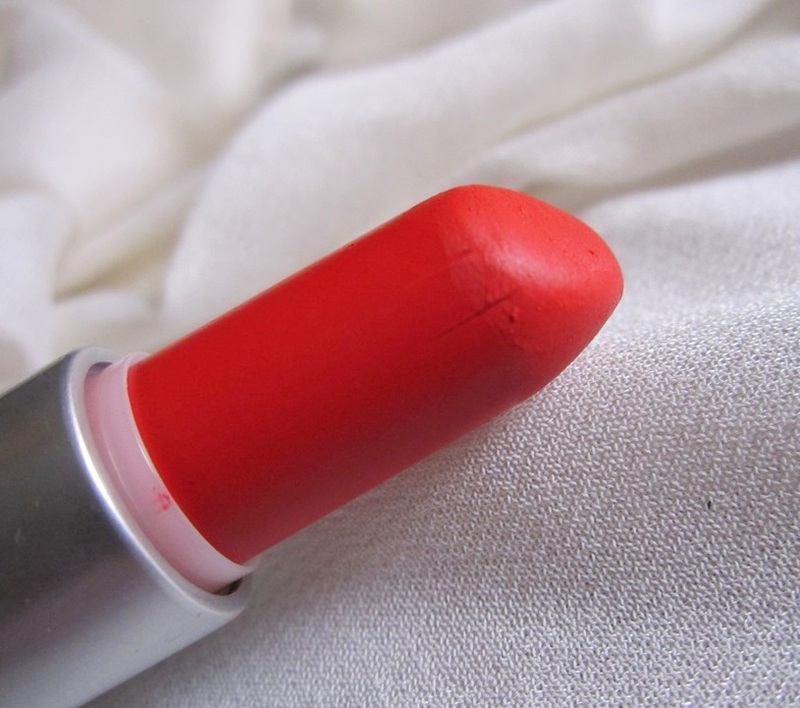 Avon Simply Pretty Cherry Red(rs.169): Cherry Red is a stunning red shade.It ha s minor blue undertones that aren’t much visible.I like such reds as it can be called a true deep red.It has a slight sheen and not matte. The formula is hydrating and glides on easily.I only do the pin-up look when I use this as it itself is a statement shade.The shade stays for 5 hours leaving a reddish stain behind that goes with proper cleansing. 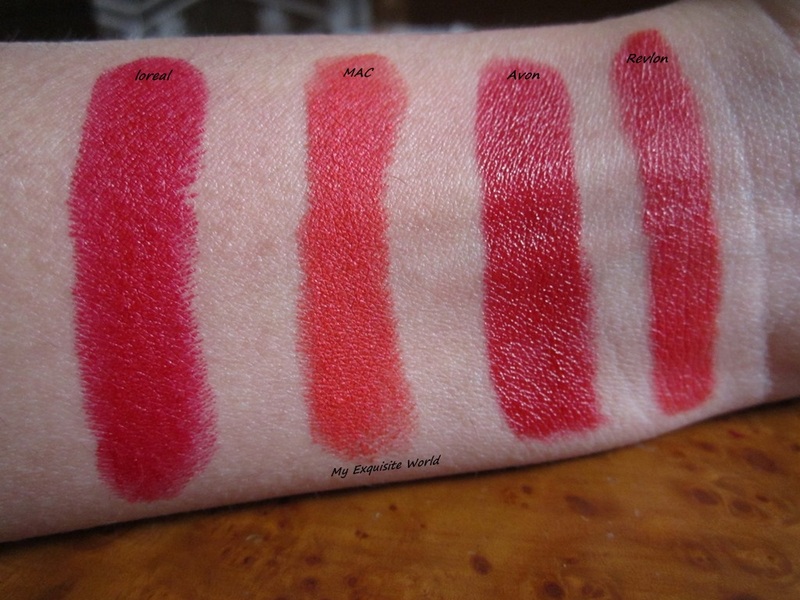 Are you Red Lipstick lover?Have you tried any of the above shades?? ?